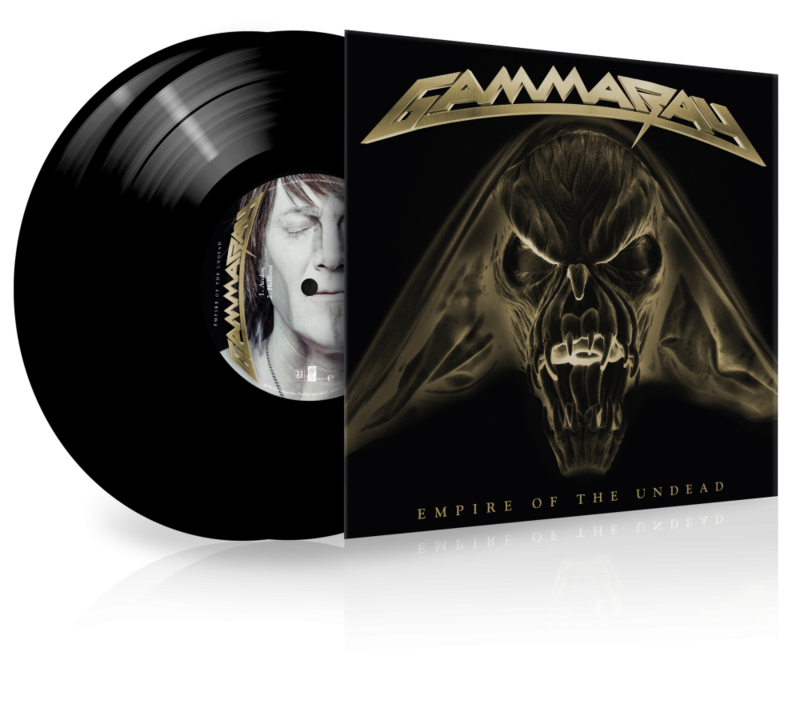 With the release of the 11th studio album “Empire Of The Undead”, Gamma Ray finally reclaims the throne on the world stage of classic Power Metal. The loyalty of Gamma Ray and Kai Hansen worldwide is unique. Two EPs (“Skeletons And Majesties” and “Master Of Confusion”) and a live CD/DVD (“Skeletons And Majesties LIVE”) only made the demand for new material louder. Following a world tour with Helloween, the band has been working on the new album for more than a year with producer and friend Eike Freese (who recently mixed the live album “The NOW What?! Live Tapes” included in the recent # 1 album by Deep Purple). At the end of 2013, while on tour, Gamma Ray saw themselves confronted with the misfortune of having their Hamburg studio destroyed by a fire-stroke. However, the band responded to this tragic event by doing what they have always been best at: “Life is too good to stop and moan” claims frontman Kai Hansen and therefore quickly adds “No one can stop us”. This message can most definitely be transferred to the new album as the title track of the record already proved Gamma Ray’s sound is once again unstoppable and puts an irresitible heavy and fast approach to their classic sound. Along with the release of “Empire Of The Undead”, the band will hit the road on a European spring tour that will certainly provide evidence once again for Gamma Ray’s status quo of being one of the most important Power Metal bands.